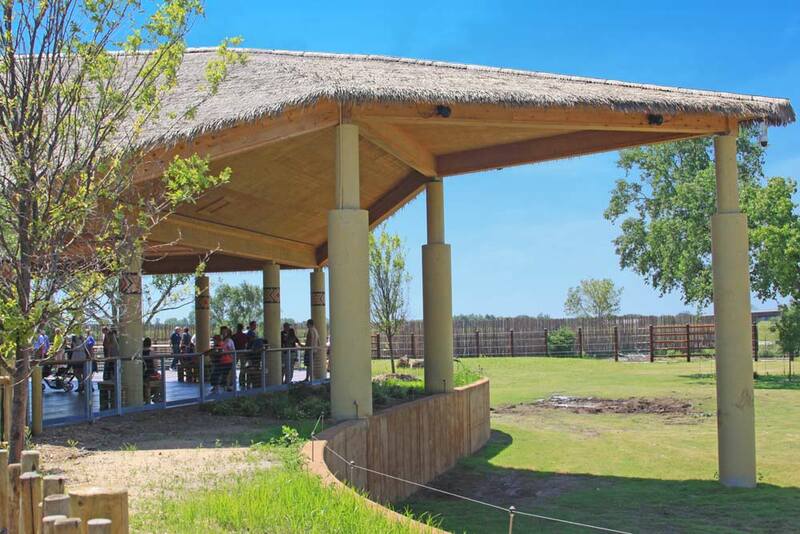 The Sedgwick County Zoo’s Reed Family Elephants of the Zambezi River Valley exhibit opened to the public on May 26 2016. This is one of the newest, most advanced and the third largest elephant exhibit in North America at over 5 acres with the largest swimming hole at 550,000 gallons. The project will be used as an example of the correct way to design and build an Elephant exhibit for years to come. Safari Thatch provided all the thatching for the main pavilion and the other out buildings. We also provided all the materials for the pedestrian fencing, trellises and shade structures. It was an honor to work with the zoo on this project. 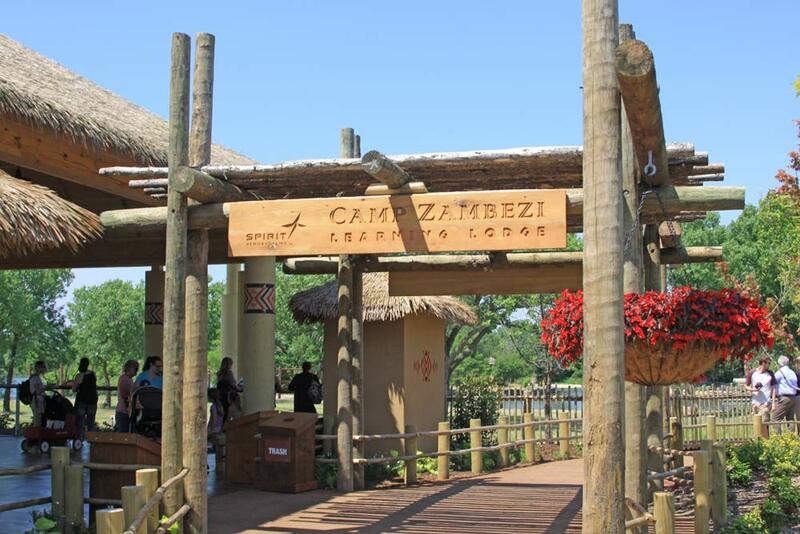 The Camp Zambezi main pavilion was one of the largest single structures we have thatched, at over 6000 sq ft, with our synthetic Viro Bali Class A Fire Rated Thatching at the time. The zoo went with this thatch for its look, cost, longevity, ease of application, and warranty. 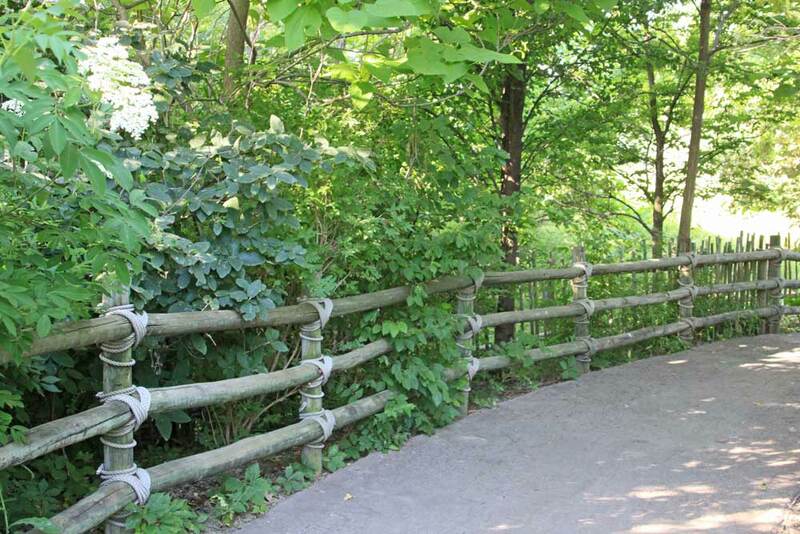 Safari Thatch also provided all the pedestrian fencing lining the walkways though out the exhibit. For this we used our Rustic Eucalyptus 4’ tall prefabricated fence panels with 6” Eucalyptus posts and 4” rails. This produces an almost indestructible fence with many years of use. 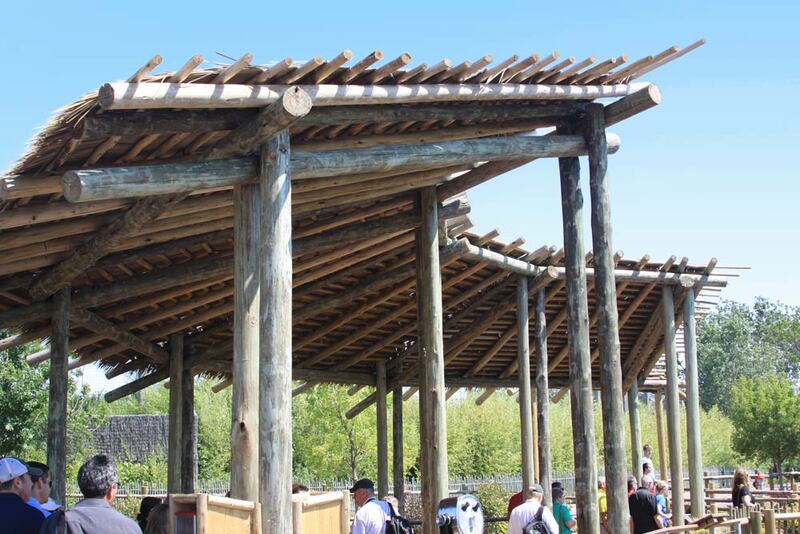 Our original design with the varied heights of the upright pickets keeps patrons from placing anything on top of the fencing thus reducing the chance of people or property from falling inside exhibits protecting both the customers and the animals. We also used a post and rail fence to separate the people and landscaping. This was a 4” post and 3” rail Eucalyptus fence. the newly arrived Elephants involving the entire community. The Elephants of the Zambezi River Valley has been a major attraction since it opened and should be on anyone must see list. 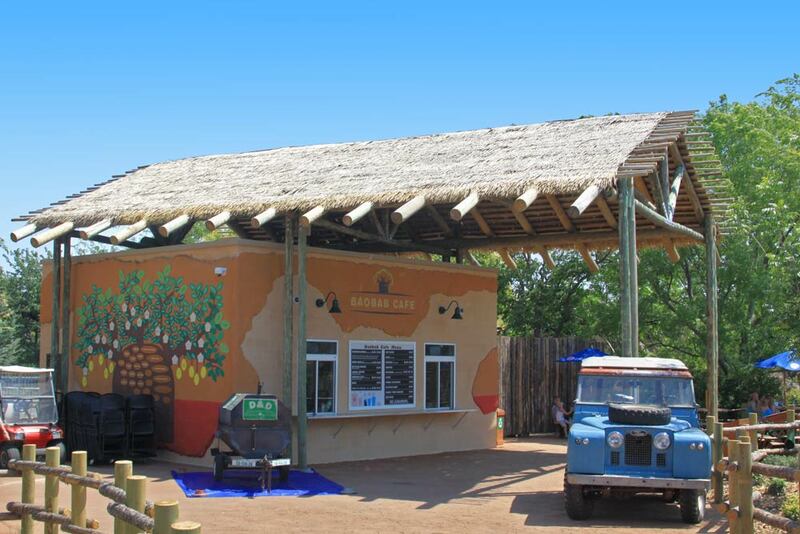 Safari Thatch is proud to have been involved in this project.